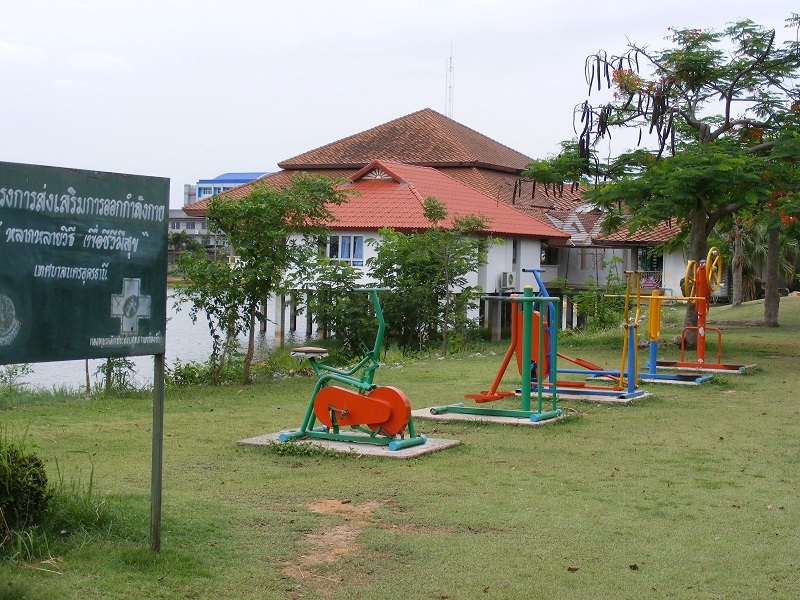 Nong Sim Park is one of three reservoirs in Udon Thani that have been developed to create a recreational centre for the city, (the others are at Nong Prajak Park and Nong Bua Park) a place where you can walk and exercise - but cannot cycle around, or go fishing. The Loy Krathong festival also takes place here in November. The park is largely void of people during the day as the sun is too intense, so from about 4.30pm people start to arrive for their evening stroll. The Thai's walk in an anti-clockwise direction but as a ferang you can walk in the opposite direction and will not be frowned upon. 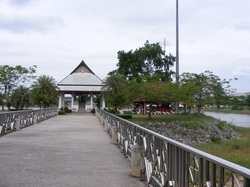 Unlike Nong Prajak Park, there are no fish food sellers present, but there are 'normal' food sellers on the lower eastern shore, in a car park. There are also some gymnasium type apparatus adjacent to the footpath around the reservoir, which sees a lot of use by visitors. Adjacent to the eastern bank of Nong Sim Park, there is a Thai Barbecue Restaurant, and on the western bank is the Bookhouse and Coffee Shop, should you fancy dropping in after a stroll around the water. From Day and Night, turn left and at the top of the road, turn left again. On arriving at a light-controlled crossroads, turn right on to the Adunyadet Road. At the top of this road, bear right and follow the road around the sweeping left bend. Nong Sim Park is then at the top of this road (Phon Phisia). 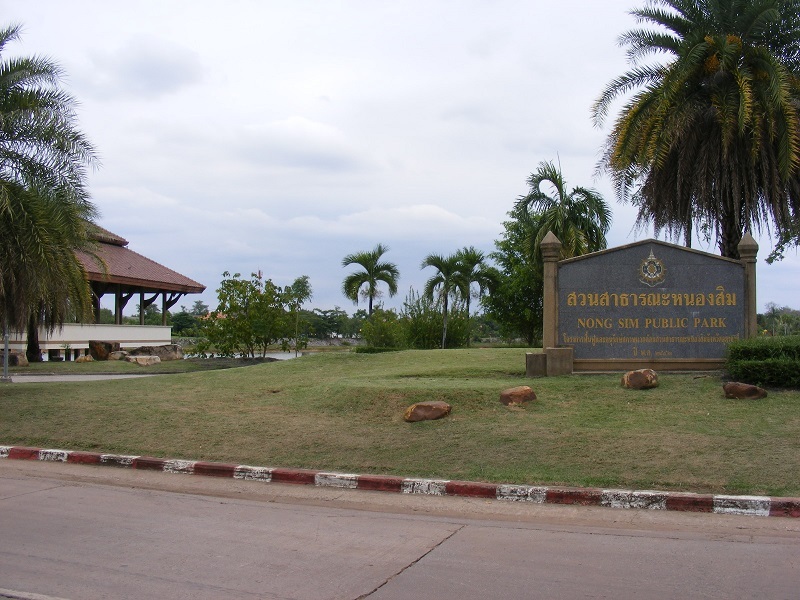 From opposite the Central Plaza shopping complex, you can flag down a number 9 Songthaew bus directly to Nong Sim Park. The journey will cost about 5 baht. Songthaew bus number 9 departs from the west side of the crossroads near Central Plaza, heads up to the Adunyadet Road and on to Nong Sim Park.